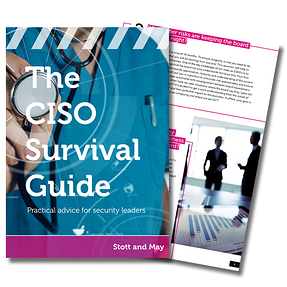 In this report we examine some of the key considerations you need to be aware of as a CISO across your employment life-cycle. We'll start with scoping out the role and ensuring that it really is the right opportunity for you, all the way through to creating and executing your 100 day plan. We will also shine a light on the evolution of the role and considerations you need to make to build and sustain strong alignment with the boardroom. All advice comes directly from experienced CISO's in our known network.